Conveniently located right on US-23, the main route up the sunrise side of Michigan,Thompson’s Harbor is an undeveloped and lightly used state park that contains miles of spectacular Lake Huron shoreline. The 5,247-acre park includes 7.5 miles of Great Lake shoreline and is the largest unit on the east side of the state but is best known for having the world’s largest population of dwarf lake iris. Despite two master plans that recommended everything from a lodge to a swimming pool, development of Thompson’s Harbor has been almost nonexistent since its dedication. For the most part the facilities at the park are limited to a trailhead parking area, two vault toilets, and a pair of rustic cabins that were added in 2009 and are available for rent. The park’s 6-mile trail system, partly composed of old two-tracks, is centered around three interconnecting loops ranging in length from 1.4 miles (Loop 2) to 2.6 miles (Loop 3) that can be easily combined for a 5.2-mile hike. Due to the limestone character of the land, the park's terrain includes whitish marl marshes, shallow lakes, and old shorelines of cobblestone that today are traversed by the trails. Wildlife ranges from more than 100 species of birds, including nesting eagles, to deer, coyotes, and even black bears. 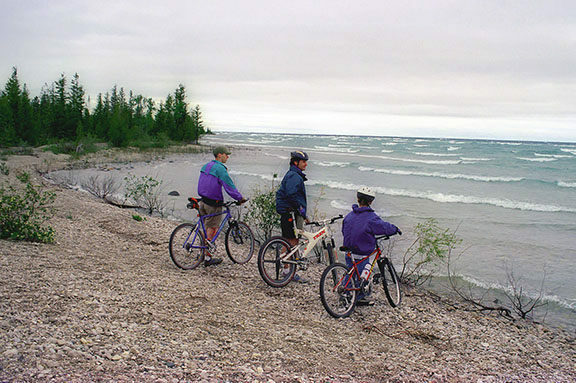 The limestone also makes mountain biking, disdained or prohibited in many fragile lakeshore parks, an ideal activity at Thompson's Harbor. 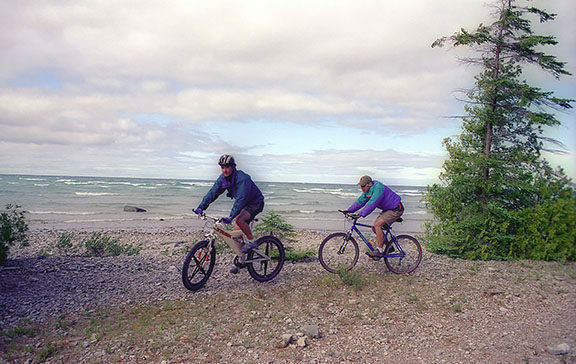 Off-road cyclists for the most part bounce along the rocky terrain following a trail system that holds up well under knobby tires spinning along the shoreline. The ride at Thompson's Harbor may be jarring at times but the park makes for a level, non-technical ride that is extremely scenic. 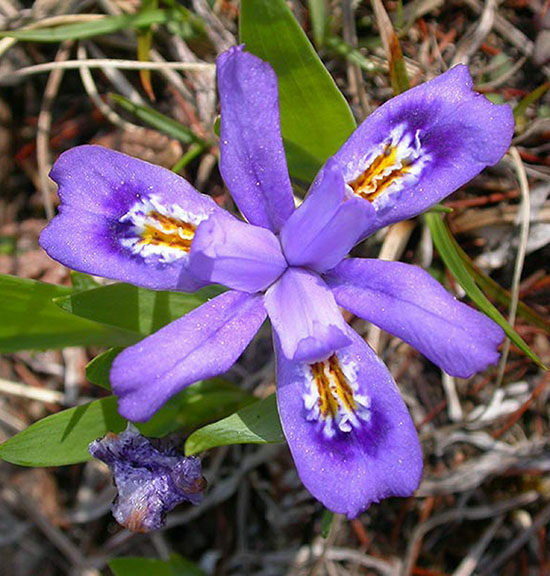 The park’s best known natural feature, one that attracts a number of naturalists, are its colonies of dwarf lake iris. The smallish purple flower is a federally threatened species found only in Michigan, Wisconsin and parts of Ontario along the shores of Lake Michigan and Lake Huron. The flower is easy to spot in Thompson’s Harbor because its preferred habitat are old beach ridges of limestone, something that is abundant in the park. 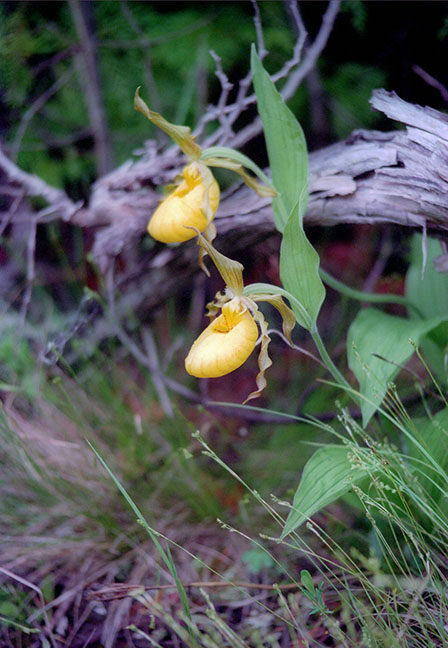 Arrive in June and you’ll more likely be overwhelmed by the large number of lady’s slipper orchids encountered here. All three loops are posted in the parking area and head in different directions. Begin with Loop 1, which departs into the woods as a two-track from the northeast corner of the parking lot. The trail is level and easy as you enter a typical northern forest of white birch, balsam fir, white spruce, and aspen. At Mile 0.6 you arrive at junction with Loop 2. Head east (right) to stay on Loop 1 and enjoy the most scenic portion of the hike. In a quarter mile, you reach a second junction near the shoreline of Lake Huron. Here the shore is typical of what is found throughout the park, a cobblestone beach overlooking a bay enclosed by a pair of rocky points. Stay right at the junction as the trail becomes a small loop along the point to the west, the largest peninsula jutting out into Thompson’s Harbor. Eventually you backtrack a short section of Loop 1 to arrive at the junction with Loop 2 for the second time at Mile 2.3. Stay right to continue on Loop 2. The trail swings away from the views of Lake Huron and remains in a forest predominantly of red pine. At Mile 3 a beautiful stand of towering red pine marks the junction with Loop 3. Stay right to continue with the hike, head left to return to the trailhead in half a mile. Heading north on Loop 3, the trail immediately passes Bear Lake, one of several inland lakes in the park. You can spot the shallow body of water through the trees but will need to depart the trail and cut through the stands of cedar to examine it closely. The marshy lake features a limestone bottom, the reason for its grayish color. Once past Bear Lake the trail continues heading due north until it returns to the shoreline where there is a bench overlooking the harbor. For the next half mile you skirt Lake Huron again, first along a cobblestone beach and then a rare stretch of sand. At either stretch of shore, you can often find pieces of a wooden ship that went down inside Thompson’s Harbor and is now slowly breaking up. At Mile 4, the trail departs the shoreline for the last time and uses planking to cross a rich conifer swamp. You then head southwest to merge with a two-track. The rocky two-track heads due south and then, at a rusty barrier, southeast for almost a mile through an area of scrub. At Mile 5 the trail arrives at another barrier that blocks it at Trailhead Road. Head east (left) and follow the entrance road to arrive back at your car in a quarter mile. At the east end of Trailhead Road there is a parking area, vault toilets and a large display map of the trails. Thompson's Harbor State Park is open year round and either a daily vehicle entry permit or an annual state park pass is required to use the trails. Thompson’s Harbor is reached by US-23, 24 miles north of Alpena or 5 miles south of the junction with M-65. The entrance is marked with a highway sign that says thompson’s harbor day-use area. Turn onto the dirt road here and then head right (east) at the intersection on of what is labeled on park maps as Trailhead Road. For more information contact P.H. Hoeft State Park (989-734-2543) or the Friends of Thompson’s Harbor (www.friendsofthompsonharbor.org).